Remote Monitoring and Management (RMM) – RMM software creates one of the key selling points that Managed Service Providers (MSPs) bring to their corporate customers. That is, the ability to proactively monitor their computer systems for trouble. Some RMM software packages even have built in remediation of common IT issues. For the IT support staff, being able to know when there is trouble on a system by receiving an alert is cru cial. For the customer, it’s the kind of peace of mind they are looking for when they choose a service provider. Remote Monitoring and Management (RMM) software creates one of the key selling points that Managed Service Providers (MSPs) bring to their corporate customers. That is, the ability to proactively monitor their computer systems for trouble. Some even have built in remediation of common issues. For the IT support staff, being able to know when there is trouble on a system by receiving an alert is crucial. For the customer, it’s the kind of peace of mind they are looking for when they choose a service provider. The costs vary, but for the small computer consulting company, it’s typically punitive. This is why most small IT companies just opt out. They either stay a break/fix shop, or if they do try to go with some kind of fixed price model, they are at a distinct disadvantage to many of the larger IT support companies, who have bunch larger budgets, and they’re willing and able to pay for a premium RMM software solution. The real target customer of these RMM software products are mid-sized MSPs or enterprise, which really leaves out the largest segment of IT consulting companies, the little guy. This is why RemoteToPC was invented, as a sort of in-between product that provides basic system hardware monitoring (a Lite-RMM) along with and unattended remote access. 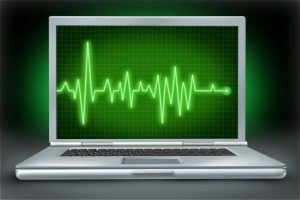 RemoteToPC provides remote monitoring and alerts for the core system metrics of: CPU, RAM, and the C-Drive, as well as a system Heartbeat monitor for servers or workstations that need to always be up and online. If any of the system metrics go beyond a threshold, or the heartbeat monitored system goes offline, a text message or email alert gets sent to the IT person that’s responsible for that system. Now any small computer consulting company can compete with larger MSPs simply by using RemoteToPC. Many of those larger companies don’t even monitor all of the computer systems at a customers site, but RemoteToPC does. So, because all your remote access installs include Lite RMM software built-in this leaves an opening for you to say “we’ll monitor everything”, giving you an edge over the big guys. We are continually improving RemoteToPC, and while more monitoring and features are being added, our commitment is still to keep it simple: One install, no reboot, and a simple and intuitive product that just works. RemoteToPC is a remote support tool designed by IT people for IT people.